Home SharePoint SharePoint 2007 SharePoint 2010 Troubleshooting Workflows Unable to find OOTB Default Workflows - Approval, Collect Signatures/Feedback in SharePoint 2010? Unable to find OOTB Default Workflows - Approval, Collect Signatures/Feedback in SharePoint 2010? "Sal, I'm unable to find Out-of-the-box workflows such as Approval, Collect Signatures, collect Feedback. Where are they? can you bring them back as in MOSS 2007"? Yes! SharePoint 2010 approval workflow missing!! Huh, unlike MOSS 2007, we must manually activate the "Workflows" feature to get OOTB default workflows in SharePoint 2010. Get into Site actions >> Site settings >> Site collection Features and activate "Workflows" Feature. That simple is the solution! Got the OOTB workflows once "Workflows" feature activated! 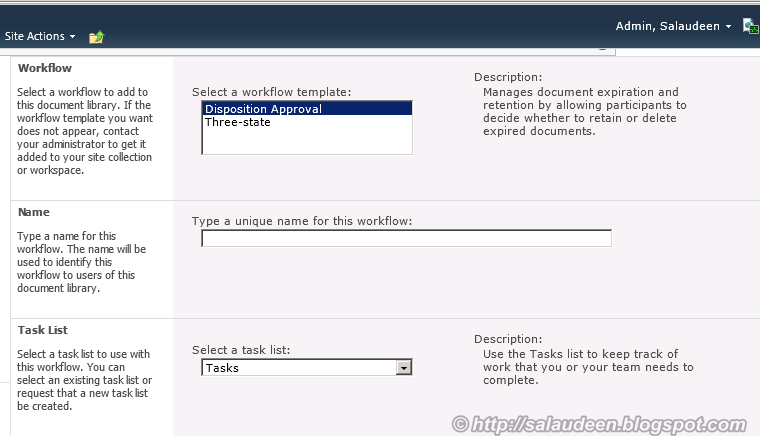 Now, we are able to see approval workflow in SharePoint 2010 and we are back to the business! Hello.. I have activated the above ,but still getting same error, Can you please help on this......The issue is After migration to 2010 user is unable to approve the workflow(OOTB) and she has full controll on this .......thanks..